Are your countertops outdated? Are you looking to replace them but just dont have the budget to go with natural stone? 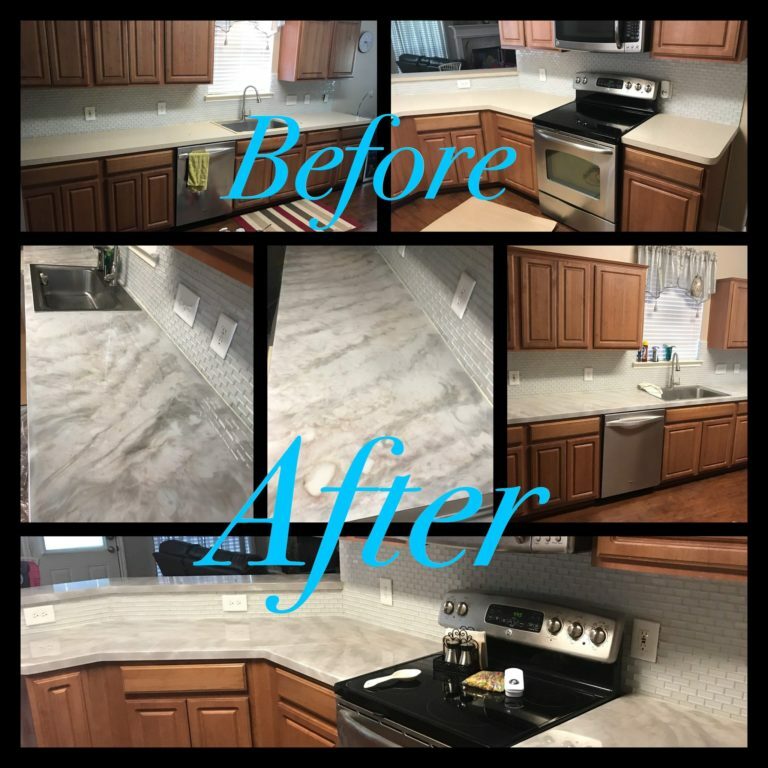 Extravagant Restorations can give your countertops the look and feel of polished natural stone without the cost using epoxy resin countertops. Installing epoxy countertops can add a uniq “finished” appearance. For more than 18 years we at Extravagant Restorations have been beautiful and durable epoxy countertop installations. One of the greatest benefits of installing epoxy resin countertops by is that it is a much more affordable option compared to nature stone countertops. They are made from a resin that achieves a natural stone look at a much lower price. They have an exceptionally solid surface, great for food prep because it will not promote the growth of bacteria. You are not limited by stone availabbility or specific slab sizes, and our countertops are custom manufacured which allows unique coloring for any range or combination of colors. Durability: One of the biggest benefits is durability. Epoxy countertops can withstand heat up to 500 degrees and show no signs of damage, and they have higher impact resistance compared to other materials. And if you have a kitchen with a lot of natural sunlight you can rest assured that the sunlight wont affect the color because the material is UV resistant. Ease of Cleaning: Epoxy is both nontoxic and nonporous, meaning that liquids wont be able to be absorbed unlike other material. This makes for much easier cleaning. If you are interested in upgrading your kitchen but dont want the hefty price tag of concrete countertops or natural stone, consider epoxy countertops that will never fade and will last for years. If you live in the north Houston area give us a call today at Extravagant Restorations !